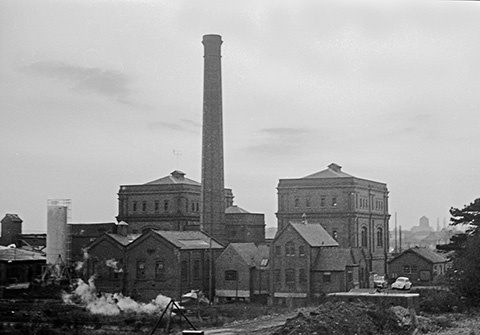 Photograph taken 1968, prior to closure. 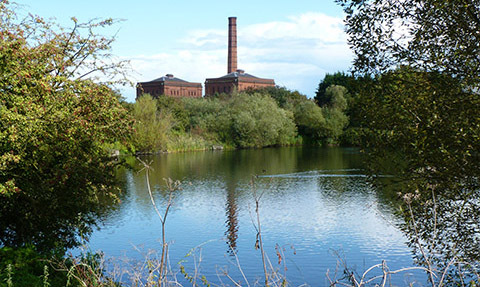 An introduction to an amazing example of steam power and Victorian engineering. Some of the recent restoration work done by our amazing team of volunteers. Water can cause enormous problems as we all know, especially when it is impounded behind a dam that has not been designed or constructed safely. This talk reviews some impounding reservoirs, both recent and historical, which due to man's greed or folly have caused great loss of life or money or prestige or all of these. Derek Jerram was a chartered engineer and a water engineer for many years, with experience of dams old and new, and a chartered arbitrator involved with construction disputes at home and abroad. The presentation will give an in-site into the how and why we select piles or engineered foundations, the different types of piling and ground improvement techniques. In addition a safe, cost effective foundation is achieved. They will also investigate the techniques of precast modular foundations, what they offer and also restricted access piling and its markets. In just a decade since the first Iron Man film kicked off the Marvel Cinematic Universe, much of the technology we see in the film has developed for real, contributing towards modern flight systems, power, weapons and artificial intelligence. Never has science fiction been so good at foreshadowing future technology and never have the timelines to technology readiness been so short. Jay Smith is an Aerospace Engineer for Rolls-Royce and part-time author, having previously been in system-level design and support of military surveillance aircraft, and having developed a BEng Aerospace Engineering degree with Lancaster University. We look forward to seeing many members and guests at what will be a very interesting talk. The society welcomes local firms that offer financial patronage, the staff of those companies are admitted to meetings free of charge. Such patronage enables the committee to maintain subscriptions at a reasonable level and assists with lecturer’s expenses and general running costs. Social events and visits are always self-financing. Members will receive invitations to all events. The society is very grateful for the financial support of the 4 joint meetings. During the Annual General Meeting of the Society, convened for Thursday 27th September at 7.20pm, President Mr Ken Logue will present the society's annual bursary and certificate to Oliver Ward in recognition of his achievement. 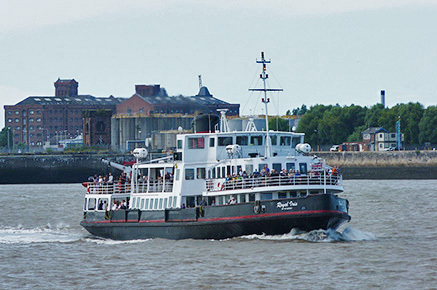 For President’s Day 2019, the society is planning a Cruise on the Manchester Ship Canal on Thursday 5th September, travelling on a Liverpool Ferry for 6 hours. The normal price for this complete coach trip from a travel agent is £62.50 each. With BES & MPRSC tours it will be £60.00, with the first pickup 07.45 at Lichfield Friary multi storey carpark and the second pickup 08.15 from The Spread Eagle, Rolleston on Dove. This will be very relaxed, there is a full commentary, with food and drink on board at your cost, leisurely cruising, probably with partners, down through the four locks from Salford Quays to Seaford, Liverpool. I have allowed for an early arrival at Salford (perhaps 30 minutes before 11.00 departure) as the choice of inside and outside seats on the ferry cannot be reserved in advance. I have already reserved and paid the deposit for the last 49 places on 5th September with Liverpool Ferries. After a week I will open up the remaining places on the 49 seater luxury coach to the 300 members of the Lichfield Science and Engineering Society, who are very keen. I will confirm receipt and successful entry. The outstanding £40.00 each will be due before August. Any surplus from the day is going towards Manor Park Radio Sailing Club for a purpose made disabled floating jetty on their lake with wheelchair access, from a gentle ramp with handrails, to be used for sailing of all types on the Manor Park lake by all ages and groups.